In August we celebrated my Grandpa Bob's 91st birthday. It was just immediate family, so it was a quiet afternoon up at the beach filled with yummy food, berry picking, beach walking, celebrating and spending family time on the front porch. Drew's first trip up to the beach! Testing out the zoom on my camera! And then a nap with dad! Grandpa made oil painting for each of the grandkids when they were born (except Brooke...sorry Brooke!). All of the grandkids with their paintings, and grandpa (Kyle is standing in for Sam). 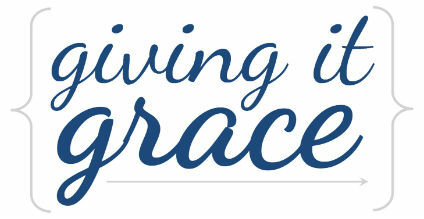 Giving it grace: Last year at this time, I reflected on the legacy my grandpa has built with my grandma. That hit home even more so this year, having little Drew up at the cabin. To think that little Drew wouldn't be here if it wasn't for my grandparents having my dad, and my parents having me, and Kyle and I having Drew...legacy is a very important part of humankind! This year's birthday celebration was much more intimate, with just family gathering together to enjoy the property and each other's company. My family is so lucky to all still live somewhat close together, and to have this beautiful property to go up to. We are even more lucky to have such wonderful, loving, thoughtful, generous, healthy grandparents. On top of all that, they are happy. How do you make it through so much of life and still end up happy at 91 years old? Someday I hope to know! Celebrating my grandpa's birthday was the kind of Saturday that makes all the long weekdays seem worth it. To get to spend time with family, not worried about the clock...that's God's common grace in action!